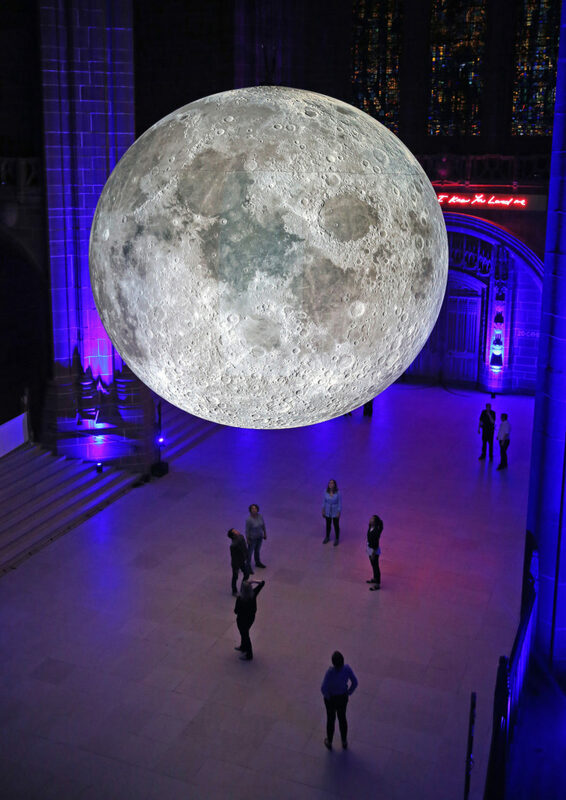 This 23-foot scale model of the moon is making its way around the world, allowing viewers to get close and see the many facets of this amazing celestial object. 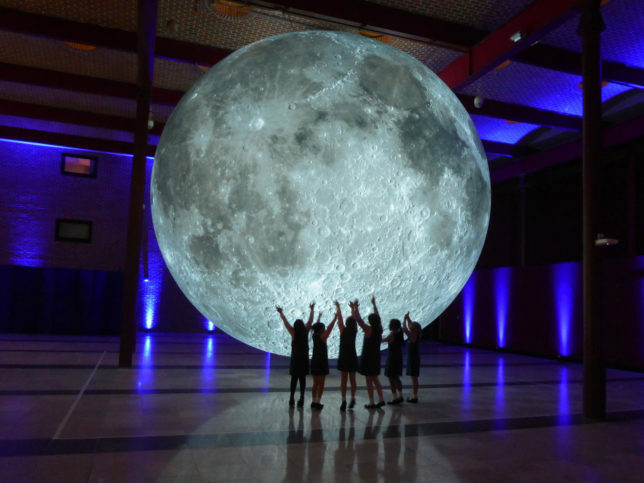 Each centimeter on the replica represents 5 kilometers on the lunar surface. 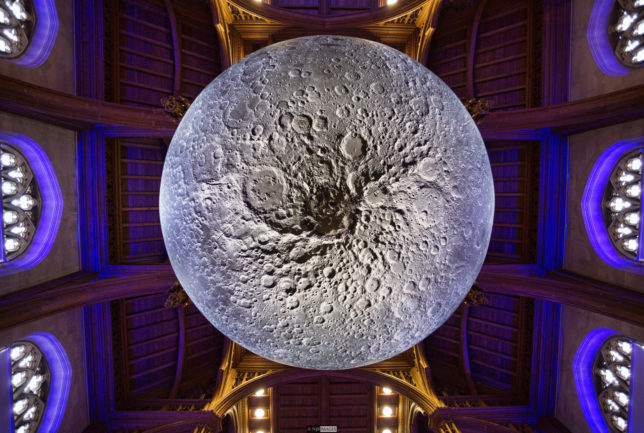 Created by artist Luke Jerram, the Museum of the Moon is stopping in China, Finland, Australia and other countries to stop in exhibit spaces and outdoor venues. 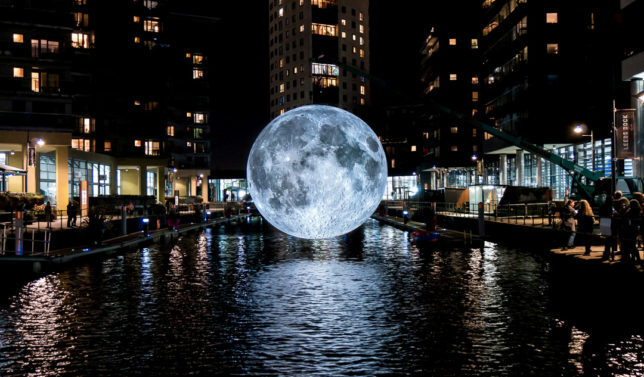 The model was based on a 70-foot-wide image taken by NASA Lunar Reconnaissance Orbiter Camera satellites and compiled by NASA’s Astrogeology Science Center. 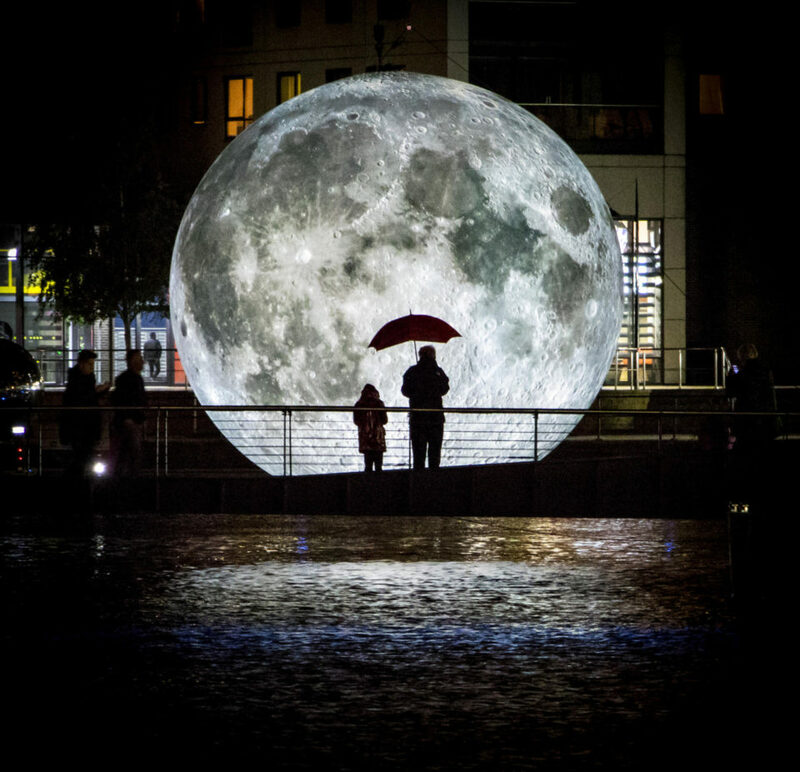 While the moon is remarkable to see in the sky, without technical assistance (like a telescope) it is hard to make out the details — this model aims to change that.